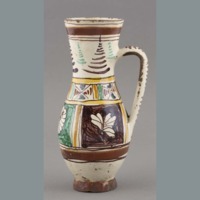 One circular glazed Romanian ceramic ewer with a globular body tapering to a shallow narrow base and surmounted by a tall neck flaring outwards to a wide mouth. 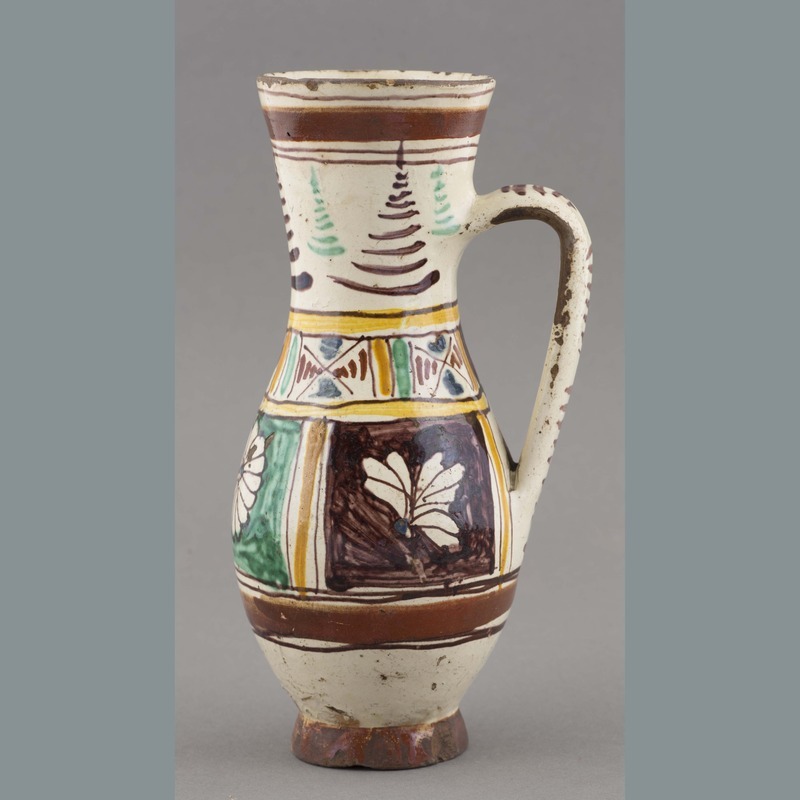 Vessel presents a large handle curving from the mid-neck to the mid-body. 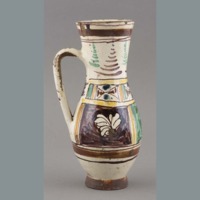 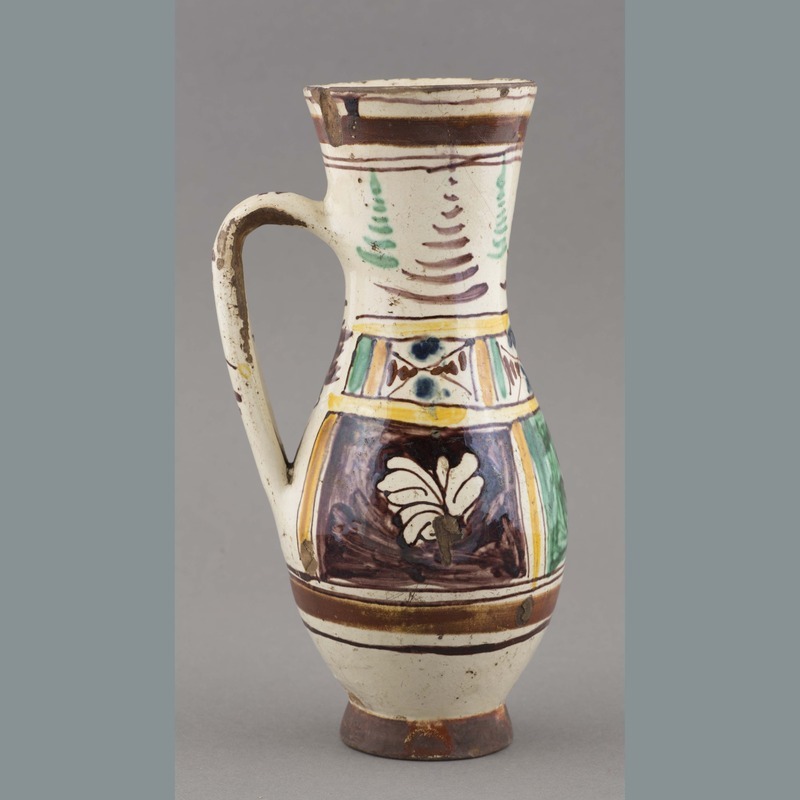 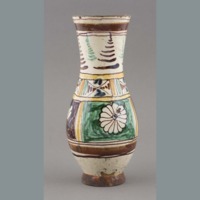 Ewer presents loosely executed decorations of floral and geometric designs in brown green and yellow. 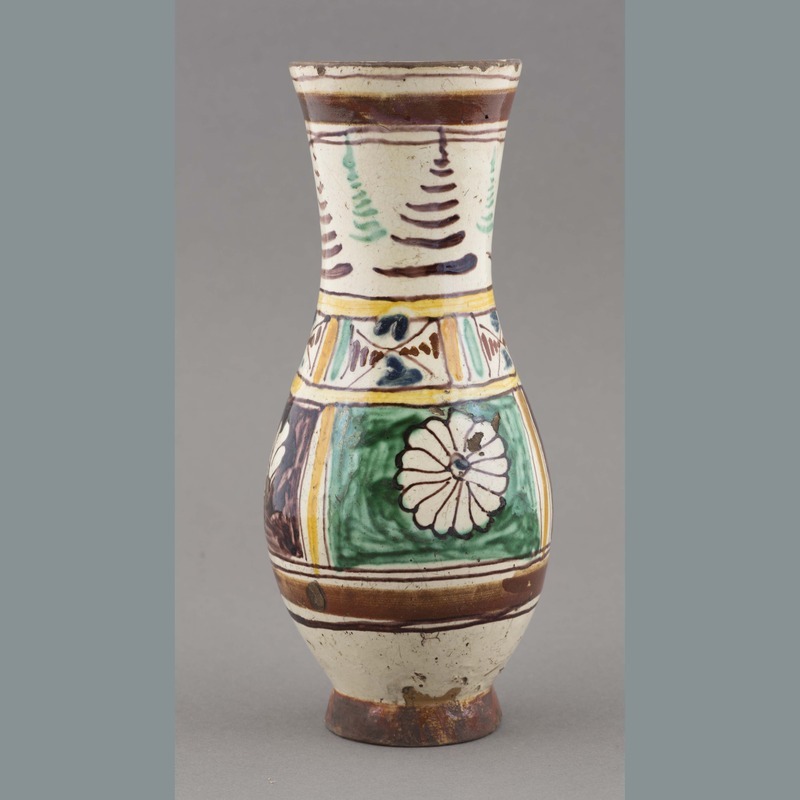 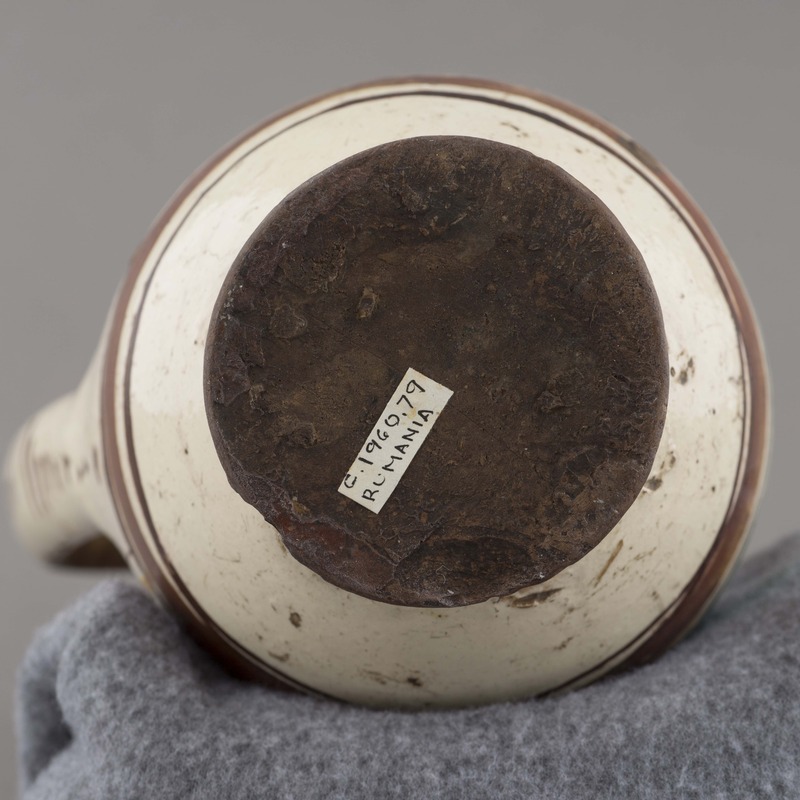 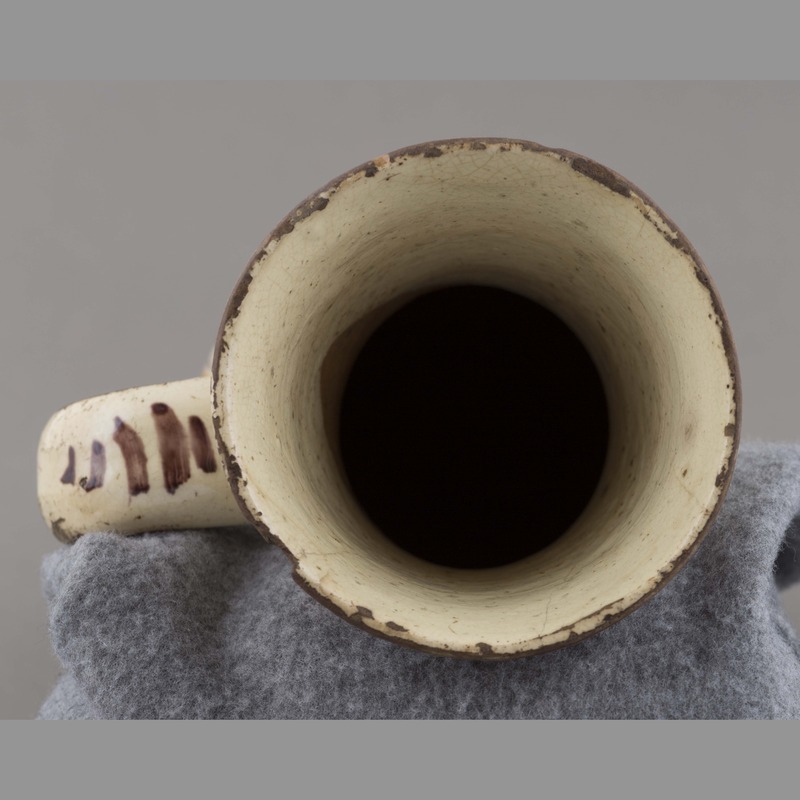 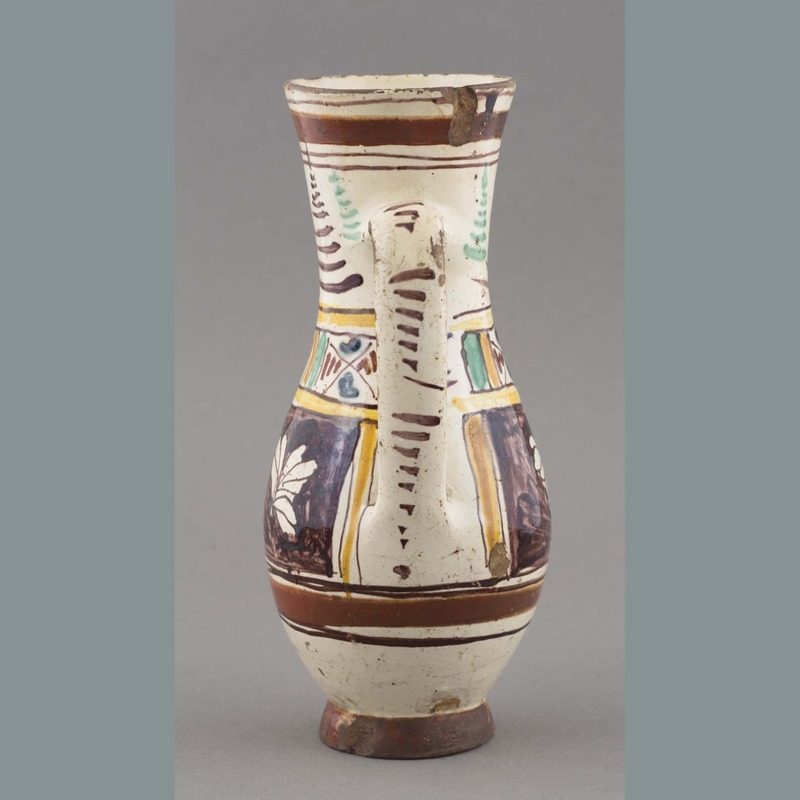 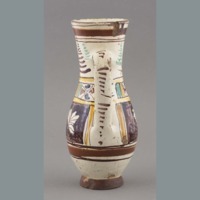 “Ceramic: vessel,” China, Art and Cultural Diplomacy, accessed April 22, 2019, http://rewialleyart.nz/items/show/1158.